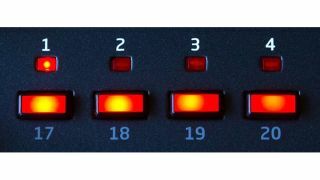 A new Dave Smith Instruments synth is invariably worth celebrating and, although we can't pop the corks to mark the arrival of the next one just yet, we can certainly put the champagne on ice. That's because Smith has teased his latest creation on his Facebook page, indicating that a full-on announcement isn't far off. "We're putting the finishing touches on the new synth!" is the official statement, and the accompanying photo has already got people speculating on the instrument's specs. We'll bring you more news as it comes in - we don't expect it'll be too long in arriving.